Buy this item and earn 839 ClubPoints. 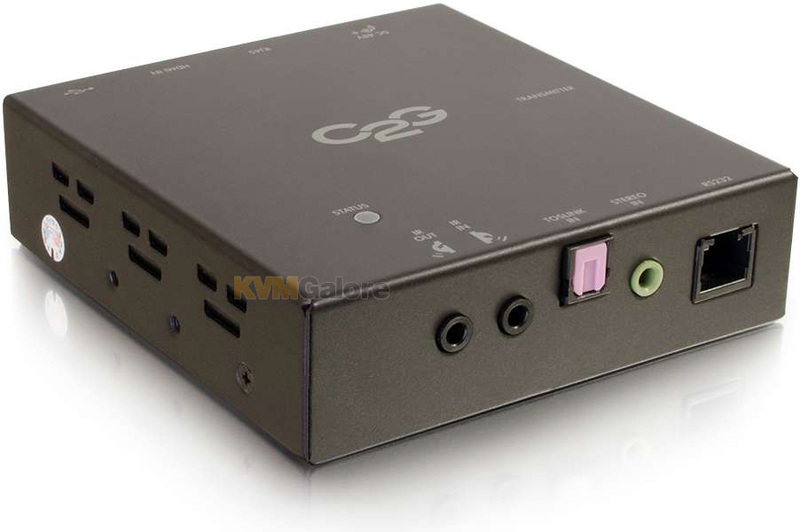 This HDBaseT HDMI + USB over CAT-5 extender is an ideal solution to deliver audio, video and USB signals from a computer or media player to an interactive whiteboard, touch screen, digital signage, or other interactive displays. Target customers with an interactive 4K touchscreen display or engage students with an interactive whiteboard. 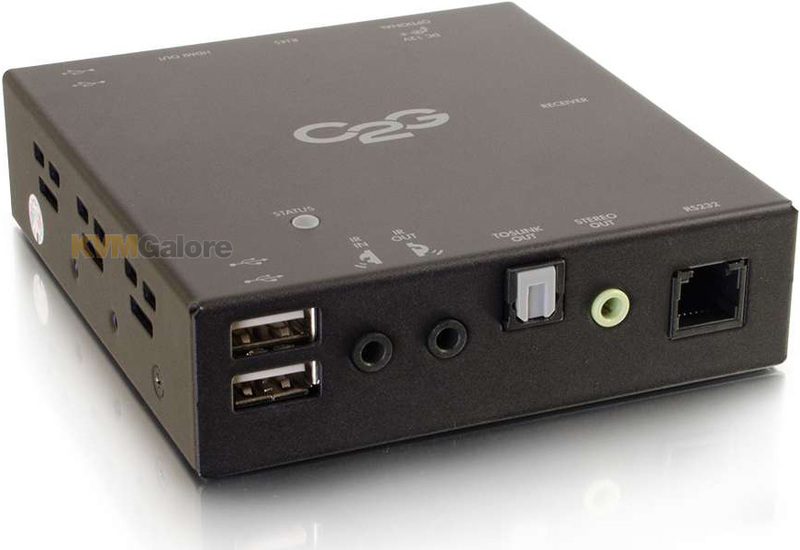 This powerful system offers USB control of interactive displays while delivering 4K video and all major digital audio formats through HDMI, providing a dynamic experience and truly connecting with any audience. Connecting with an audience is one thing, but delivering the content and control from a distance is more complex. This kit removes the complexity of transmitting both A/V content and USB control to touch screens or from conference camera systems. This straightforward solution allows the content and control to be delivered up to 100 meters uncompressed, which enables installation options far beyond the length limitations of standard USB or HDMI cabling. The HDBaseT HDMI + USB over CAT-5 extender functions as an interface point for remote terminals, which provides a single simple solution to control remote devices . 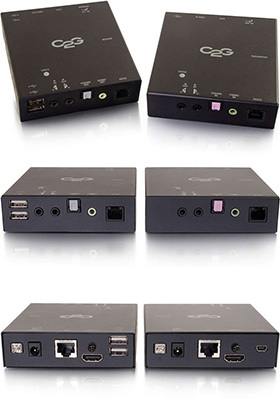 With 4K HDMI audio/video output and 4 USB ports this kit allows for USB devices like a touch screen, conference camera, mouse, or keyboard next to an HDMI display to be installed in a remote location. This setup provides remote control and access of a computer or other source device installed in a secure location. Save time and money with an effortless install. Simply run one solid conductor CAT-5e or CAT-6 cables up to 328 feet (100 meters) between the transmitter at the source and the receiver at the display, connect all applicable devices, connect the power adapter and turn power on for all devices. There are no drivers to install. This plug and play solution passes EDID and HDCP, and supports all USB 2.0 functionality ensuring quick install and a setup with no configuration. 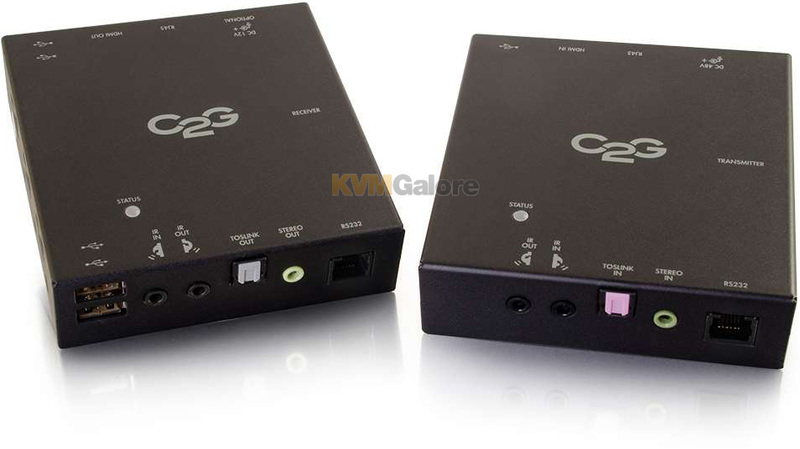 This HDBaseT HDMI+ USB over CAT-5 extender system also extends IR and serial control up to 328 feet (100 meters). Control peripheral devices like a 4K display, projector, BluRay player or other IR or serial controlled devices using a standard remote or a serial terminal.